It is with great sadness that Skywalker Properties has decided to pull its application to build a studio facility on the old Grady Ranch. 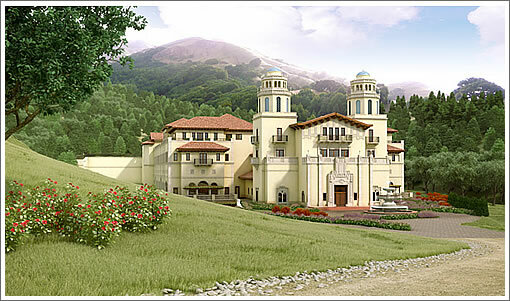 While we managed to build on Skywalker Ranch after one year master plan approval and another year PDP approval, it took over 10 years for the Master Plan approval on Big Rock and Grady Ranches. It took us three years for a PDP on Big Rock and now we are four years into trying to get a PDP permit for Grady Ranch with no end in sight. As the company grew we realized we needed more space than what we were building in Lucas Valley at Skywalker Ranch, and it could not accommodate the whole company. We then worked to find more land on which to expand our corporate headquarters, our video game enterprise LucasArts, and our visual effects company Industrial Light & Magic. We were told there was no way we would be able to build a facility of that size in Marin County and therefore we moved the majority of our employees from Marin to the Presidio in San Francisco. We’ve had a great partnership with the Presidio Trust and created a low impact facility which offers great benefit to its surrounding community. We then went back to Marin County with only the studio facility that was previously approved in the Master Plan. We have been trying for four years to get the Precise Development Plan approved, but it appears that, as always seems to be the case, the process will be delayed again for more months or years. We are not a real estate developer. We need the spaces we build to do our work. Movies are waiting to be made, and we must move forward. Unfortunately, the projects we had planned to shoot on those stages have already started production and we will need the studio space by early 2013. We have several opportunities to build the production stages in communities that see us as a creative asset, not as an evil empire, and if we are to stay on schedule we must act on those opportunities. When we first proposed Skywalker Ranch in 1978, we understood people’s concerns about a business moving to residential area. They feared helicopters landing with celebrities and tour buses coming down Lucas Valley Road. We realize our solution to creating open space by placing low-impact commercial facilities on farmland, while permanently preserving over 95% of the total acreage, has not been accepted by our neighbors. Nor are they or many of the public agencies interested in the $50-70M restoration of the stream. Maybe we’re ahead of our time. Yesterday, the Marin Community Foundation formally announced it is “working with Lucasfilm to explore options” for building affordable housing upon the Ranch. Couldn’t they just have Volvo jousting matches instead? What a sad day it is when one of our Bay Area iconic compounds is so disillusioned by the NIMBY-ers who dont want anything in their back yard but dont want to pay to keep everything out and the space preserved. How on earth is a residential housing development going to have LESS impact on the surrounding land? LucasArts has gone out of their way to be a very low impacting development and i think they have done a really great job. I think Marin-ers will be kicking themselves for making LucasArts be forced to move because of bureaucratic hold up in the planning dept. I am so glad that San Francisco has seen the opportunity to have LucasArts a part of this community. It has totally revitalized the main part of the Presidio bringing in revenue and a lot of jobs while taking good care of not polluting our neighboring wetland restoration areas or presidio nature. I think Marin will look back and kick themselves… HARD… for letting one of our own who did it right be forced to leave. Maybe Marin doesn’t desserve Lucas anyway. Come on over to SF.. We welcome you! Well. Marin County needs affordable housing more than it needs another mega million dollar utopian development for a single user. Those jobs Lucas claims to be taking with them are actually more needed in the East Bay, Sonoma or Contra Costa where they would likely be more welcome, cause less commuting impacts and provide an economic boost to a less affluent areas. I’ve always wondered how many jobs Lucas actually provides per acre used; It’s seemed from the outside like the corporate top brass just wanted a place closer to where *they* lived, everyone else has to trek out to a very inaccessible locale. NV Green: BS. You’ve never wondered how many jobs per acre Lucas provides. If they wanted to retain the open space, they should’ve started a conservancy and bought it. Now they’ll get a bunch of housing and no high-paying longterm jobs–construction jobs are shortterm and don’t necessarily hire local people. If Marin just wants subdivision after subdivision, I guess that’s their prerogative…it’s just weird to me. LOL. Nice one Lucas! Way to get revenge. How about recloating all residents of Hunter’s Point, Bayview, and Excelsior to Marin while you’re at it. It’s tempting to enjoy seeing Lucas stick it to the small handful of neighbors who managed to kill his building — I would love to see him build multi-story apartments directly behind the complainers so the new residents can look right down into the NIMBY’s back yards. However, that is an absolutely terrible place for low-income housing. There are no services anywhere near it and very limited bus service, which is at least a couple of miles away (perhaps more depending on access to the site). Since when is it a good idea to stick people with limited means as far away from everything as possible? Schadenfreude is fun and all, but there have to be much better places in Marin for low-income housing. This is about as dumb an idea as I’ve ever heard. Is this site easily accessable by public transportation? Seems silly to build low income housing if its going to require everyone to have a car and drive to get to it. Seems easy to conclude that if the neighbors had success stopping a commercial project, they’re going to be equally effective in stopping a development of affordable (yet automobile-intensive) housing, so Lucas probably isn’t going to get any “revenge”. If the original use was for housing, I’d bet it’ll wind up being exurban, low-density housing for the wealthy. Hey Lucasfilm, come check out Pier 70. It is great creative space. There are lots of cranes and industrial machinery within sight to provide great inspiration for your next project. Even our NIMBY is going to embrace you with open arms. 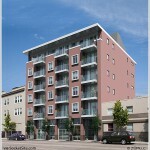 I agree that the idea of low income, transit dependent housing is a non starter. But it will keep the NIMBY’s occupied for a few years fighting it. The reality is the East Bay would benefit much more from this project and the business, jobs, and residents it would help draw. But the Marin residents are going to have to face a reality sooner or later … raise taxes on themselves to pay for streets, lighting, sewers, police, fire, courts, prisons, etc or increase density. Love this, happy to hear a bit of the NIMBY’s BS being thrown back at them. I hope they build a project/addiction treatment center right in the middle of Agrestic…or whatever they called their suburban “paradise”. My favorite part? He had the land/plans before they even broke ground…nothing like moving in and immediately telling your neighbors that there’s a new sheriff in town! Wai Yip Tung – Yes, Pier 70 is an awesome space but it would be terrible place to put a soundstage with all of the hammering and other loud metal working noise that the shipyard emits. But I do admit it would be funny to hear the sound of metal plates banging in the background of a period drama. I’m confused, why is everyone going off on Marin residents as a whole? Lucas Valley is a town in Marin. It’d be like bitching about all of Santa Clara County because of something Palo Alto residents did. Then again, it’s cool to hate on Marin residents. I thought Marinites were white shoed, white haired, polyester wearing rad right Repubs. No? They deserve Marin. I thought the Maronites were Arabic speaking Catholics from the Levant. It looks like the Marin Community Fundation issued a request for proposals from developers interested in the site. Well, any news from the Nimby’s?